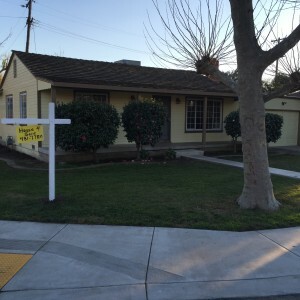 If 95% of Home Buyers in Stockton Order Inspections, shouldn’t you be prepared? 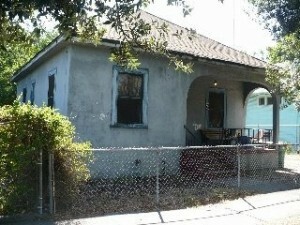 In this article we will discuss How Inspections can affect the sale of your house in Stockton. 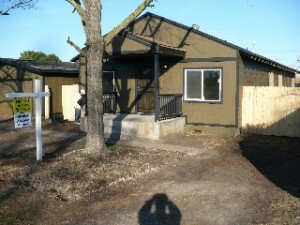 Congratulations, you have just received an offer for your house at full asking price with a closing of 45 days. As the seller it’s important to keep in mind that the sale of your house has a process that includes many different components that need to be managed within a time frame that is acceptable to you. Once an offer is accepted, however, the time frames are generally changing with one thing in mind… the things that need to get done prior to the closing. As you begin to evaluate the offer you note the specific areas that tell you what the buyer is going to pay, the amount of the down payment, the financing required, the escrow period, special concessions requested such as who pays the closing cost, a home warranty cost and then, of course the Home Inspections. 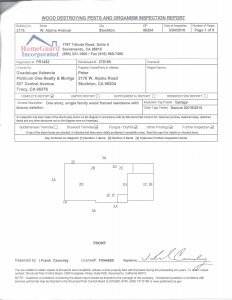 As you read the offer you notice that the buyer has 17 days (standard in California) to have Home Inspections performed on the house. There is nothing specified, but the good news is that the buyer pays for them. Those home inspections are known as contingencies and the buyer according to the contract can cancel the purchase for whatever reason as a result of any inspection(s). Also keep in mind that, in most circumstances, the defects revealed and the repairs needed to correct them, and who pays for them, are negotiable. It really isn’t time to panic as Home Inspections are so common that over 95% of all home sales include home inspections of some kind and if you sell a house the chances are at least one will be required and performed. For a home buyer, the condition of the house is probably more important than any other single component as purchasing a house is generally the single biggest purchase in their lives. It is critical to, for buyers to understand the full scope and condition of the house because most buyers do not want to inherit the previous owner’s problems. Understand that the majority of home buyers want to buy a house that is in “move in ready condition” and they will most certainly order an inspection. The inspection is not an intrusion at all, but a health check up on the house so they can confidently proceed. For the seller, the inspections are more than just a health checkup. The inspection itself is often viewed as adversarial and for good reason. The inspections are a potential time bomb waiting to explode in the middle of the sale. 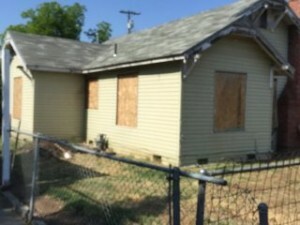 As a real estate investor I understand the trepidation for the seller… there is no way to comfortably embrace the thought that someone is going to dissect the house and then in a written report nit-pick at everything that in their professional opinion is “wrong with the house” and in addition call out anything that “could go wrong” as if it were actually wrong. The biggest problem with home inspections is the unknown. They poke and prod, they crawl over and under and then they issue a report. Remember that inspectors are generally not contractors and do not necessarily have any building experience or license. The disruption they pose to selling a house in general are the potential surprises that can cause major delays and cost thousands of dollars. The mere thought of a home inspection and how they can affect the sale of a house can be overwhelming. Remember, as sellers we don’t always know what’s wrong with our house. Also understand that not all houses are created equal and often times even the best kept houses have ticking time bombs that nobody knows about. 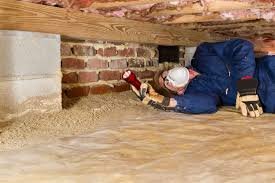 Wood destroying pests (Termites and beetles), cracked foundations, dry rot, water damage from an old pipe leak, mold, cracked chimneys and sometimes code violations from non-permitted additions, including electrical and plumbing. 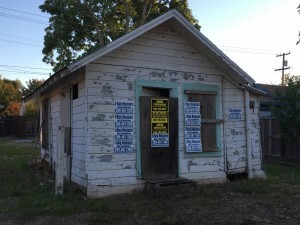 I have purchased dozens of older houses (in their as is condition without any inspections) that have had modifications, additions and improvements spanning 50 plus years and sometimes without any trail of permits or blueprints. The best thing to remember is that Home inspections are just another hurdle that determines the fitness of the house, but in some cases the suitability or as the FHA calls it, the minimum standard of living that must be met for a bank to approve the financing. As such, certain types of inspections can cause significant time delays and even kill the sale that you have negotiated because the buyer may get cold feet. In addition, as the seller it is your responsibility to disclose any and all deficiencies and deferred maintenance issues that your house has, that you are aware of. These issues need to be properly noted if you are going to avoid future liability and possible litigation. Many homeowners order home inspections prior to selling their house to understand the complete health of their house. It helps them determine the areas that need the most attention and can give buyer the confidence to make and complete the purchase knowing that the home had been inspected and all areas of concern were addressed. As a seller, you need to understand the types of inspections and how they can affect the sale of your house in Stockton. Wood destroying pests live in just about every part of the country, but especially in warm climates. A Wood Destroying Pest inspection will disclose not only the location of an infestation but also the type of termites or powder post beetles that are living in vicinity. They will also look for areas that have decaying wood known as dry-rot. Sometimes a repair is very minor and for others a costly fumigation (tenting of the house) may be required to address the issues. A general home inspector will test for grounding and look for illegal splices (not in junction boxes) throughout the house. The report will identify any non-compliant issues for repair. They will test GFI and call out old fuse boxes that can cause potential fire hazards or things that no longer comply with city code, etc. An inspector will test the operation of the heater and AC, the thermostat and the wiring. With most furnaces, you have to take it apart to determine if the heat core is cracked, for example, or to find out why the furnace is malfunctioning. An HVAC specialist can tell you what’s wrong, how much it will cost to fix it and whether it needs to be replaced. A home inspector can tell you if your home was built on a slab or raised foundation, he she can also identify areas that are cracked and need repairs. 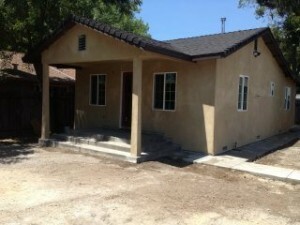 Home Inspections in Stockton reveal to would be Buyers what is wrong and what could potentially be wrong with a house. They are not always correct. The age of the roof is always an issue for not only insurance but also the health of the house. New composites can carry lifetime warranties, assuming they were installed properly. Multiple layers of roofing material are not food as they add weight and create other weaknesses for problems to arise. 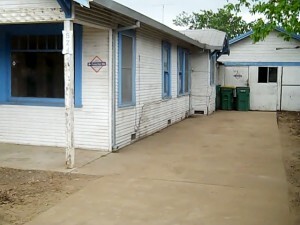 An inspector will identify those areas with recommendations for repair or replacement. The Inspector will identify If the plumbing is galvanized, or plastic or both. They will note leaks and visible drainage issues. A plumber can tell you if it needs to be replaced. Some galvanized pipes are so clogged that you can barely fit the lead of a pencil through it. Inspectors will identify the presence of Mold, fungus and other growth or decay that can be potentially dangerous. Not all molds are dangerous, but it is present it will need to be dealt with. Certain mold can trigger health problems in even healthy individuals. There are many different types of mold. If your house is in market ready condition, you’ve made repairs and updated items throughout the house, don’t panic, you’ve come this far and in most cases the Home Inspection report will include very minor items. It is also important to note that in very competitive housing markets the seller can negotiate with the buyer what gets fixed and who pays for them. It really is up to you to decide what you are willing to do. If your house is in less than market ready condition, needs numerous repairs and has years of deferred maintenance, it is doubtful that you are going to order and pay for a home inspection that will just tell you everything that you already know is wrong with the house. 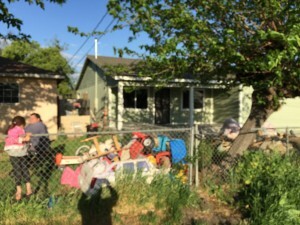 But if you want to get top of market value from your house in Sacramento, then you have some decisions to make because chances are whatever you choose not to fix will most certainly appear on the home inspection report. 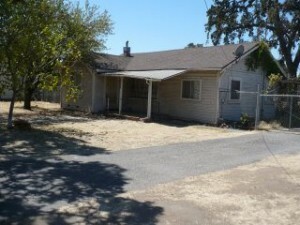 So When you ask; How Home Inspections can affect the sale of your house in Sacramento? Know that it all depend on the buyers reaction to the report. 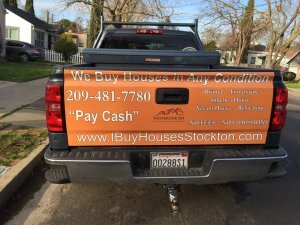 We buy Houses Stockton We Pay Cash. No Inspections, No Contingencies. My name is Peter Westbrook and I am a cash home buyer (real estate investor) with Westbrook REI in Stockton and we buy houses in any condition. 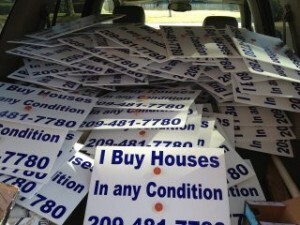 We specialize and we pay top dollar for houses in their Current As is Condition. Our offers are NOT contingent on you having any inspections and we will Not ask you to make any repairs. 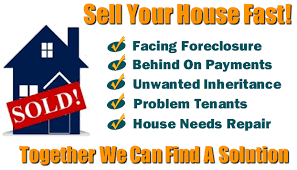 If you need to sell your House in Stockton we can help. 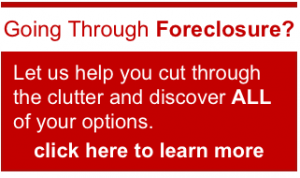 Visit our website at We Buy Houses Stockton and fill out the short form to get the process started or just call us at (209)48-7780. Either way we will make you an fair market value offer and you can avoid Inspections, costly repairs and other intrusions into your life.